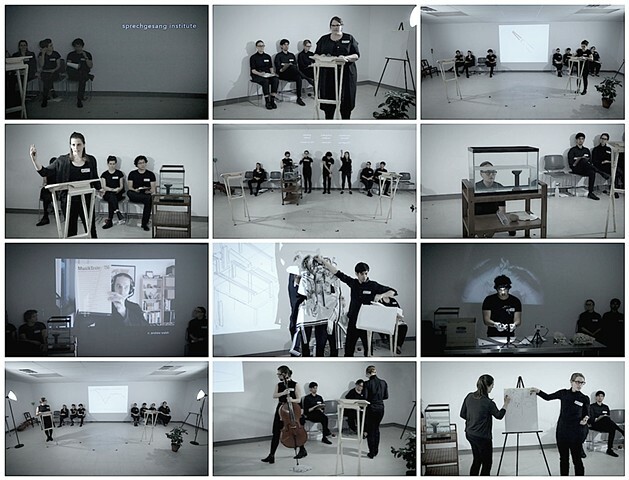 Sprechgesang Institute is a research-based platform for artists working in an in-between language of two or more disciplines. We believe in the ability of the gap between genres to produce fresh and innovative perspectives, offering room to breathe without boundaries, space to improvise and to question conventions. We host regular lectures, workshops, and dinners to draw connections and facilitate discussion of in-between languages.